Louisiana Tech University received a A-. U.S. News & World Report's ranking of 117 out of 117 of National Universities Top Public Rankings was a major contributor to this grade. "Louisiana Tech is a comprehensive university about 90 miles from Shreveport that offers a variety of programs in everything from engineering to life sciences. Louisiana Tech offers an array of interesting student groups to its very diverse student population, including "Seven," a club dedicated to "aggressive sports" like skateboarding and BMX." Describe the type of student who should not attend Louisiana Tech University and explain why. Describe the type of student who should attend Louisiana Tech University. Why? What is a typical Louisiana Tech University student like? Describe the type of person that should attend Louisiana Tech University. There is a lot of diversity at Louisiana Tech. If you like diversity and are up for the three quarters, then you should attend. What are the top 3 reasons someone should attend Louisiana Tech University? What was a typical Louisiana Tech University student like in high school? Describe the type of person that should attend Louisiana Tech University. Louisiana Tech has a very diverse student body. I would say we have every type of person at our University from jocks to nerds. Since the state legislature established our University in 1894, the students, staff, and faculty of Louisiana Tech have built a rich heritage of academic excellence and a strong tradition of research and public service. From our campus here in Ruston, our impact can be felt around the world through programs ranging from nanosystems engineering to the performing arts, from forestry to finance, and from education to intercollegiate athletics. Louisiana Tech University is a reflection of people: those whose vision forges a path to excellence, those who open doors of opportunity for the bright young minds of our nation and world, and those who dedicate their lives to teaching, research, and discovery. I would like to invite you to learn more about our institution and to experience the very special place that is Louisiana Tech University. What are the top 3 things that students do for fun at Louisiana Tech University? Students attend sports games, go to the Lambright, and partcipate in all sorts of events led by other students. 32% of students received Pell Grants, which are provided by the U.S. government to students from middle and lower income families. It gives you an idea of a school’s socio-economic diversity. Campus housing is available for undergraduates. Housing deposit : $50.00. Housing deposit due : Jul 15. Housing deposit is partially refunded if student does not enroll.. Freshman allowed to have car. No pets. 15% of students live on-campus. 35% of freshman live on-campus. A program that prepares individuals to apply architectural principles in the design of structural interiors for living, recreational, and business purposes and to function as professional interior architects. Includes instruction in architecture, structural systems design, heating and cooling systems, occupational and safety standards, interior design, specific end-use applications, and professional responsibilities and standards. A program that focuses on leadership skills that can be applied to a business, government, non-profit, or educational setting. Includes instruction in organizational planning, dynamics of leadership, finance, team building, conflict resolution and mediation, communication and other management skills. A program that prepares individuals to teach vocational agricultural programs at various educational levels. Any instructional program in teacher education, specific academic and vocational programs not listed above. A program that prepares individuals to teach students at more than one educational level, such as a combined program in elementary/secondary, early childhood/elementary, elementary/middle school, or junior high/high school teacher education. An integrated program that prepares individuals to work as both audiologists and speech-language pathologists. Includes instruction in a variety of communication disorder studies, audiology, speech pathology, language acquisition, and the design and implementation of comprehensive therapeutic and rehabilitative solutions to communications problems. Assess and treat persons with hearing and related disorders. May fit hearing aids and provide auditory training. May perform research related to hearing problems. A general program that focuses on modern business and economic principles involved in the organization, operation, and management of agricultural enterprises. A general program that focuses on the scientific principles that underlie the breeding and husbandry of agricultural animals, and the production, processing, and distribution of agricultural animal products. Includes instruction in the animal sciences, animal husbandry and production, and agricultural and food products processing. A program that generally prepares individuals to manage and develop forest areas for economic, recreational, and ecological purposes. Includes instruction in forest-related sciences, mapping, statistics, harvesting and production technology, natural resources management and economics, wildlife sciences, administration, and public relations. A program that prepares individuals to apply technical knowledge and skills to the flying and/or navigation of commercial passenger and cargo, agricultural, public service, corporate and rescue fixed wing aircraft. Includes instruction in principles of aircraft design and performance, aircraft flight systems and controls, flight crew operations and procedures, radio communications, navigation procedures and systems, airways safety and traffic regulations, and governmental rules and regulations pertaining to piloting aircraft. Programs may qualify individuals to sit for the FAA commercial and airline aircrew examinations. Pilot and navigate the flight of fixed-wing, multi-engine aircraft, usually on scheduled air carrier routes, for the transport of passengers and cargo. Requires Federal Air Transport Pilot certificate and rating for specific aircraft type used. Includes regional, National, and international airline pilots and flight instructors of airline pilots. A program that prepares individuals to apply technical knowledge and skills to the management of aviation industry operations and services. Includes instruction in airport operations, ground traffic direction, ground support and flightline operations, passenger and cargo operations, flight safety and security operations, aviation industry regulation, and related business aspects of managing aviation enterprises. A program that focuses on the application of micro- and macro-economic theory to consumer behavior and individual and family consumption of goods and services. Includes instruction in modeling, economic forecasting, indexing, price theory, and analysis of individual commodities and services and/or groups of related commodities and services. Any instructional program in geography not listed above. 77% of students graduated in the top half of their class. 45% of students graduated in the top quarter of their class. The average student pays $9,137 for tuition, fees, and other expenses, after grants and scholarships. Total stated tuition is $5,506, in-state and on-campus, before financial aid. 91% of students receive some form of financial aid. Learn more about financial aid at http://www.latech.edu/finaid/. Estimate the net price for you at http://www.latech.edu/financial_aid/netprice/npcalc.htm. 28% of students graduated on time. 49% of students graduated in six years. The typical (median) early career salary of Louisiana Tech University graduates is $49,400, according to Payscale. 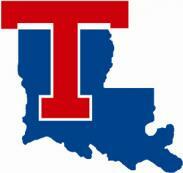 Louisiana Tech University participates in the NCAA Division I-A for college athletics. Want more info about Louisiana Tech University? Get free advice from education experts and Noodle community members.